Car shows are a magic place for me and yes—it’s the Disneyland kind of magic. Disneyland was built for kiddie dreams so it’s only fitting that I would like to see a few of my kiddie dreams at some car shows in 2019. 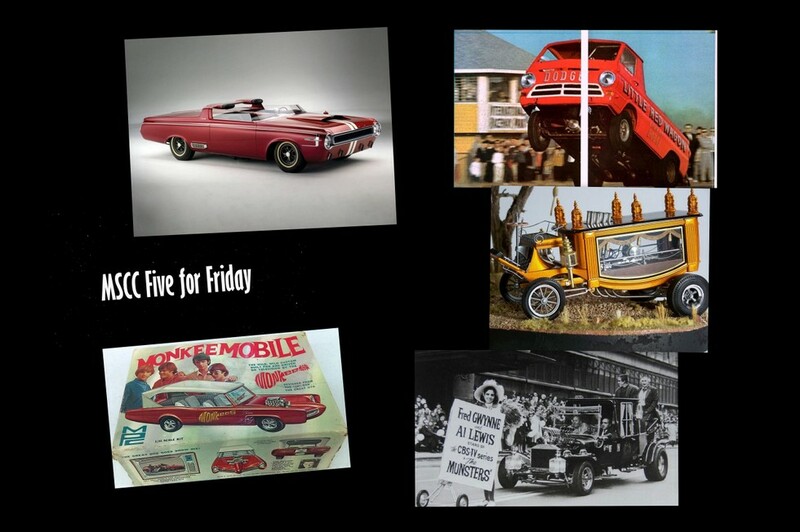 This list of five rides I’d love to see at a 2019 car show is not in any particular order but they do represent a bygone era when TV shows, pop culture and custom cars blended into a very cool automotive age. 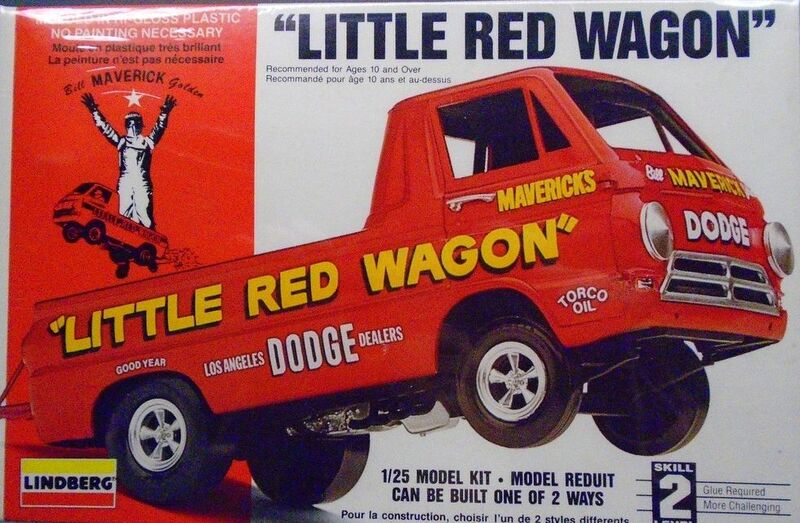 The first classic is the legendary Little Red Wagon—the truck that made Bill “Maverick” Golden famous. 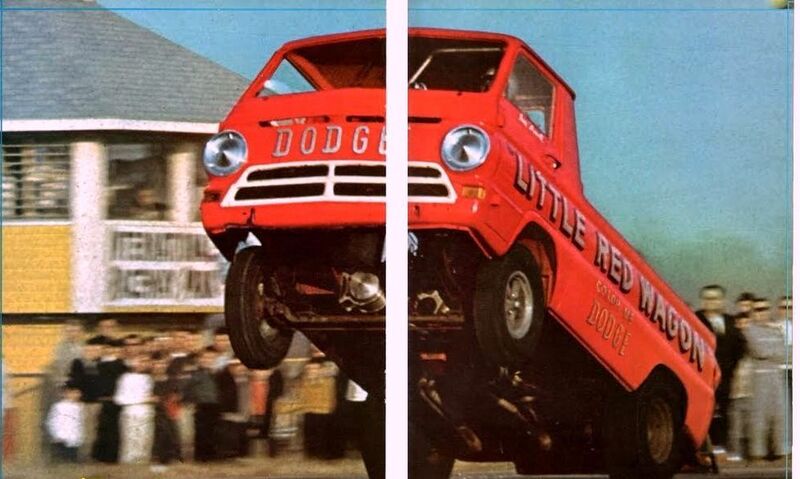 This A-100 Dodge truck was a cooperative effort in 1965 between Jim Schaeffer and John Collier—it was powered by a mid-mounted 426 cubic inch hemi and it was the fastest truck and first wheel-stander in the world. The Little Red Wagon was an insane concept and that’s why I’d go to a show in Antarctica to see this monster. 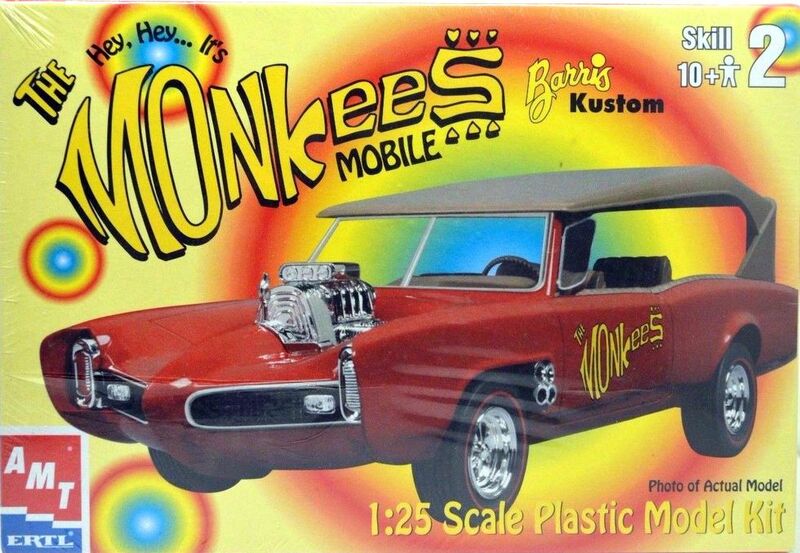 The second classic is a pop star car built for a pop star band—the Monkeemobile. 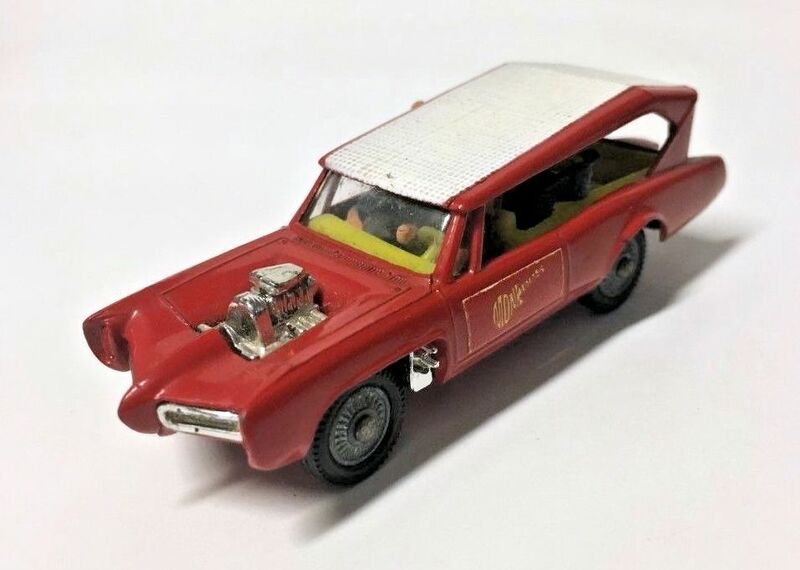 The Monkeemobile was based on a 60s legend (’66 Pontiac GTO) and it was built by Dean Jeffries for the Monkees TV show. 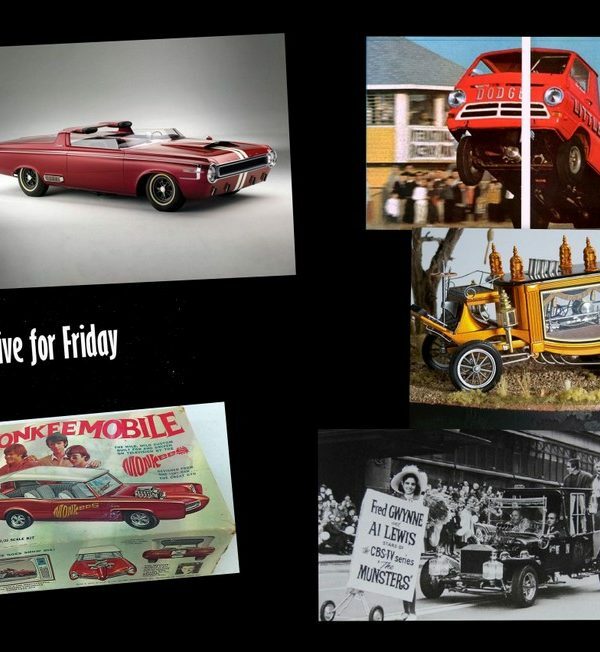 They called The Monkees the Pre-fab Four because they were built and marketed to compete in the world of 60s rock and roll so the Monkeemobile was a large piece of their PR machine. It was an incredible creation and it truly reflected everything cool about the 1960s. 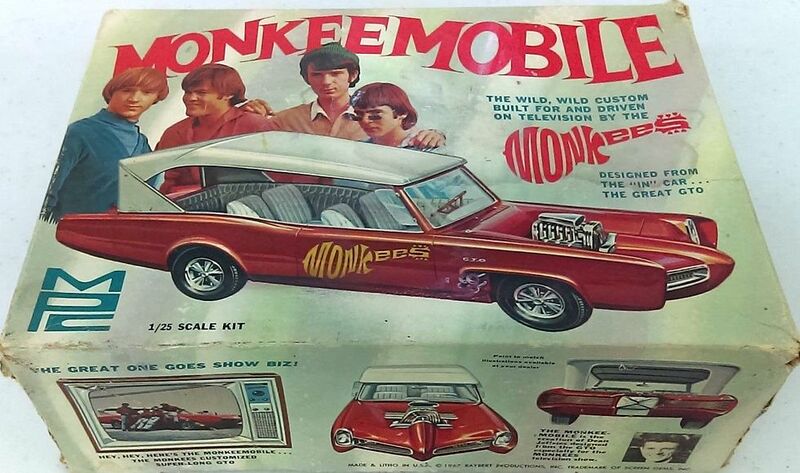 I would punt Monkee lead singer Mickey Dolenz through a large, high-powered fan to see the Monkeemobile at a car show. The third classic is the Munster Koach. 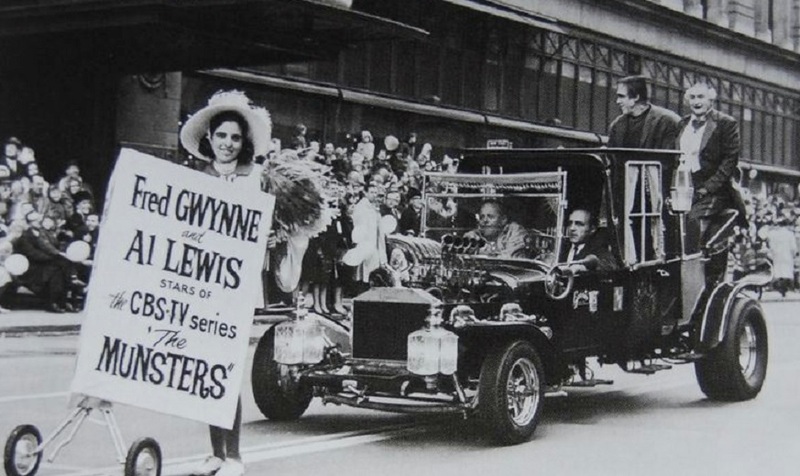 The legendary George Barris built this piece of pop culture history for the Munsters TV show (based on a design by Tom Daniel) and it fit like a glove in this ghoulish—but funny sitcom. 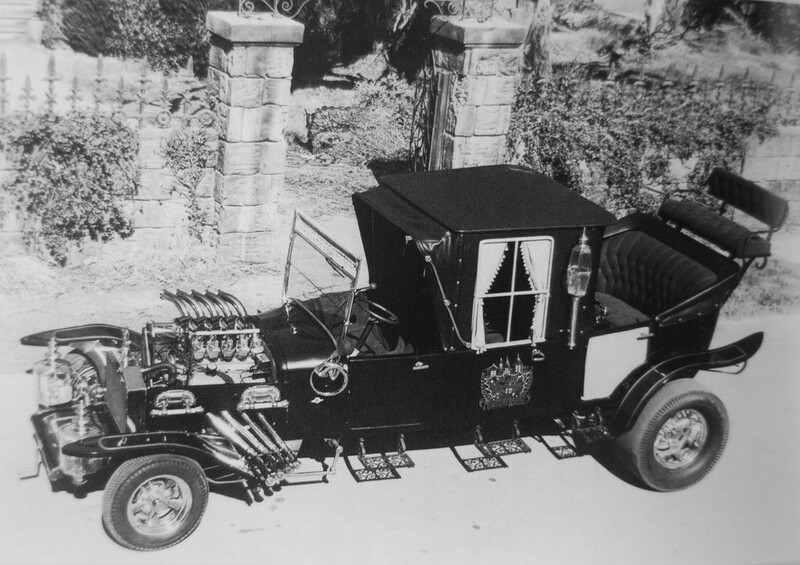 Barris built this custom hearse out of three Model T bodies and powered it with a built 289 Ford engine. There wasn’t a kid in the world who wouldn’t have thrown Eddie Munster under a bus back in the 60s to get a chance to hang with his dad Herman on a road trip in the Munster Koach. I’d still do it today to see the Koach at a 2019 show. The fourth classic is based on a similarly morbid theme. 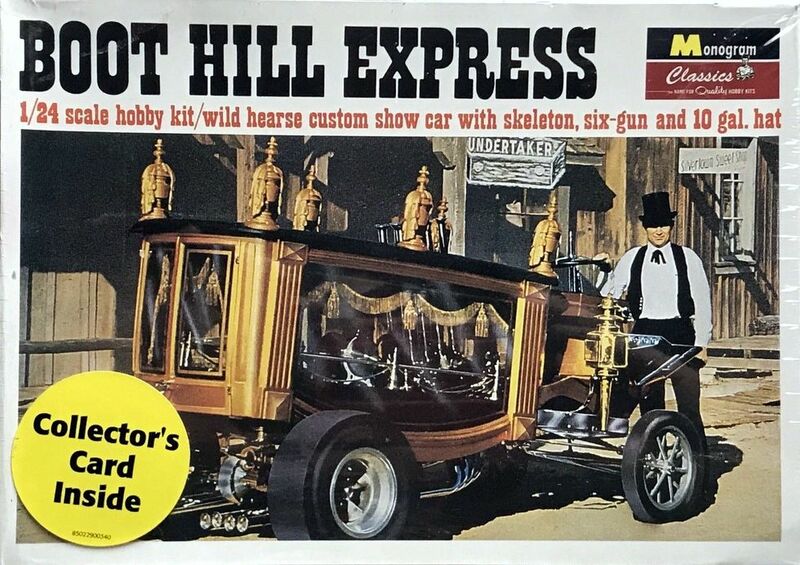 The Boot Hill Express was the stuff of legends for 60s kids because it had a distinct Munsters/Western vibe and both were big in the Beatles era. 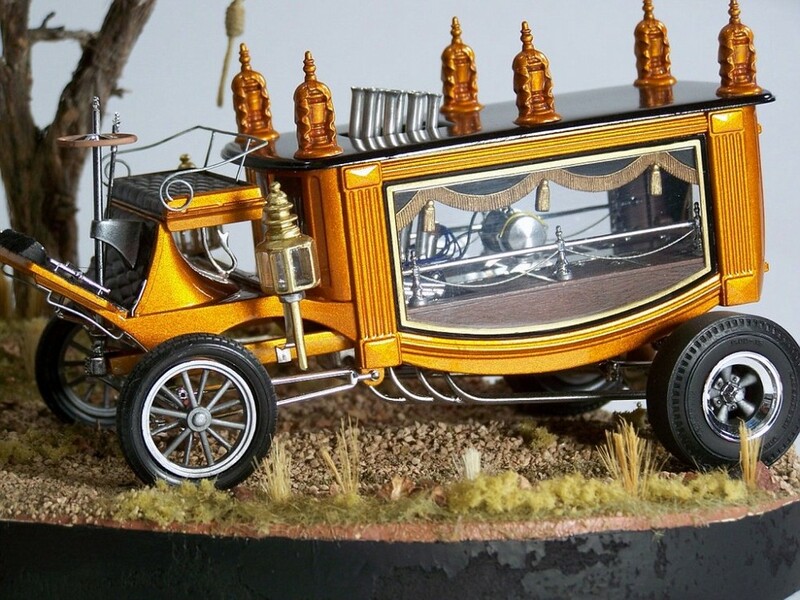 The Boot Hill Express was an incredible concept by Ray Farhner because it was based on the wagon-drawn hearse that carried James Gang member Bob Younger on his final ride to Boot Hill. This Boot Hill Express would have got him to his final resting place a lot faster (130 mph in a ¼ mile) because it’s powered by a 426 Hemi—it’s a must-see on my car show list. 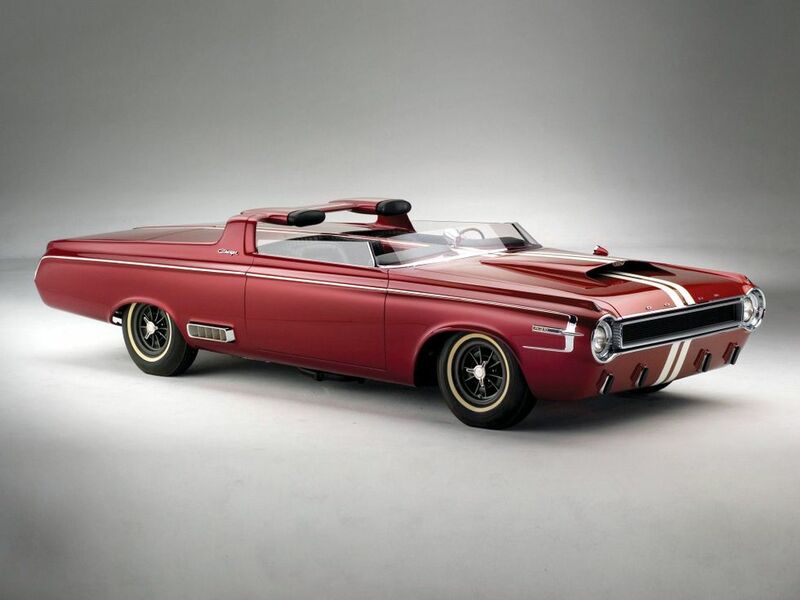 The final classic is the ’64 Dodge Charger Roadster concept car. This was an exercise in styling at Chrysler because they knew the Charger was just around the corner. They wanted to feature the then-new 426 Hemi engine (the Gen 2 Hemi was off the charts in ’64) for this classic but they had to settle for a 383 under the hood. It doesn’t matter—this beauty (and the other four) were the stuff of dreams.